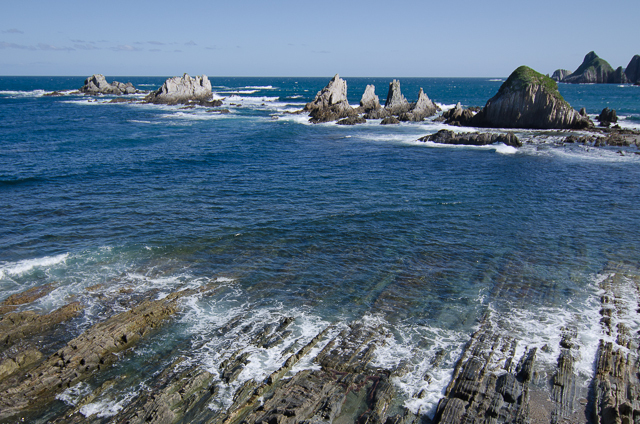 Our last post from a long weekend visiting the coastline in western Asturias. We chose 5 sites and in the end managed to have good sessions at 3. All were special but I think the Playa de Gueirúa came out on top, if only for the variety of photographic opportunities. 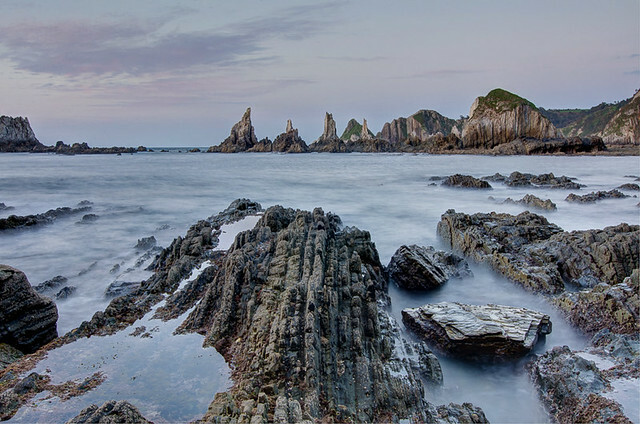 Dramatic rocks formations, high cliffs, strong seas and fascinating rock pools. Beyond Gueirúa is the Playa de Silencio, another superb beach and definitely worthy of a trip. We were a little unlucky with a virtually cloudless sky at sunset and being first time visitors we didn’t know quite what to expect. 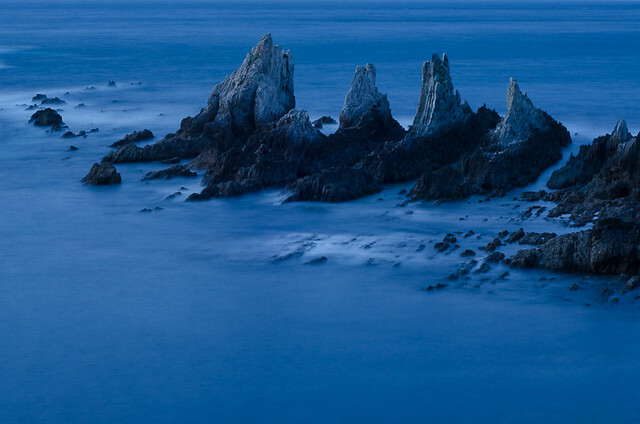 It’s certainly a race against time with the fading light and as always, you need to prioritise. I’m looking forward to a return trip. We decided to check out the area in the morning rather than arrive unprepared. Looked exciting. 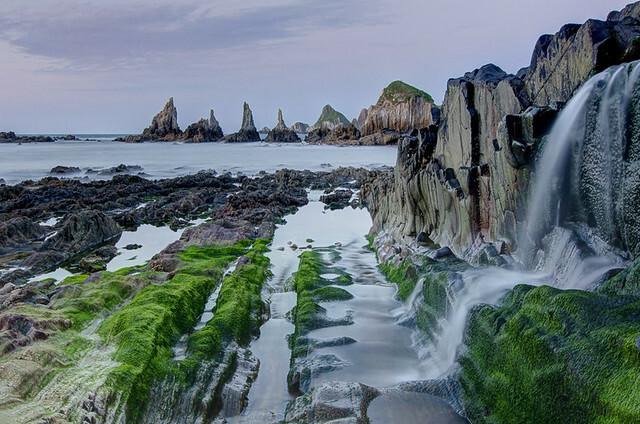 Beautiful beach with a waterfall, what more could you ask for? I was glad to have opted to wear walking boots. Balancing on wet rocks can be tricky. We saw one photographer have a nasty fall, though I’m sure the sound of his camera and tripod crashing against the rocks was more painful. 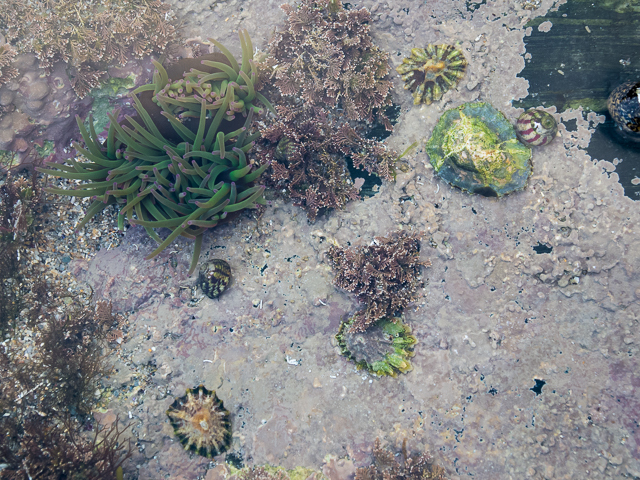 Hundreds of small rock pools can be seen at low tide. Easily a project in itself. As we returned to the village of Santa Marina via the cliff steps I quickly took this shot halfway up. I regret not switching to a wider lens …. but there’s always next time.